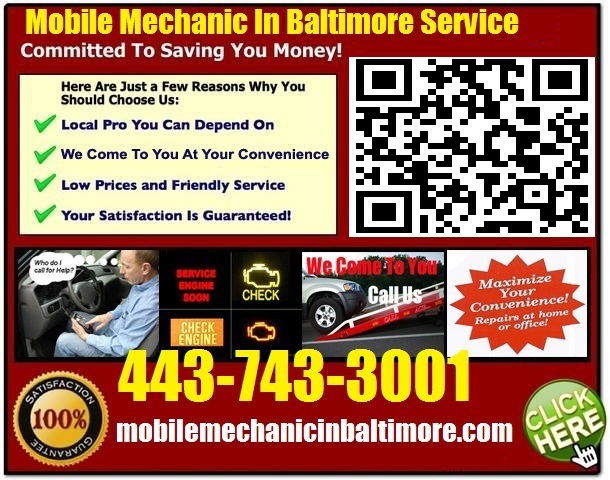 Mobile Mechanic Laurel MD Auto Repair Service that comes to you at home & pre purchase foreign vehicle inspection review at local dealer Call 443-743-3001 that are dependable and affordable and we will travel to you business office, job, apartment or house for onsite fix up. When you’re in need of a mechanic to diagnose and repair your car, you often can’t wait very long for the problem to be fixed. A mobile mechanics drivers can rely on is a better solution than waiting for an appointment and waiting a couple more days for the problem to be diagnosed and fixed. 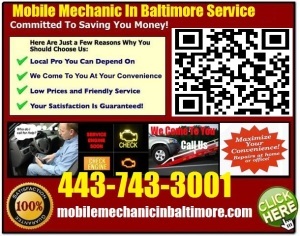 A mobile mechanic can meet car owners where they are. This makes getting a car fixed a simpler process. It can also save time and money, because the car owner doesn’t have to leave work, drive to a shop, or have the car towed to the repair shop. Saving time and maintaining a daily routine can also make getting a car repaired from a mobile mechanic less costly, in the long run. A mobile technician can do more than fix cars at your place of business or home. If you’re looking to buy a good pre-owned vehicle but need to be sure it will meet your needs, consider having it looked over by a mechanic first. With a pre purchase car inspection Laurel car buyers can make suitable offers on the cars they’re interested in. Buying a pre-owned car that has been mechanically inspected gives buyers confidence, in offering a fair price and getting a good deal. Our mobile mechanics can find hidden issues that may lead to expensive repair bills later on. If you own a foreign car, we can also provide foreign auto repair Laurel Maryland car owners need. Many shops don’t have the equipment or knowledge to service foreign model cars. We can help you keep your foreign car in top operating condition, so you can continue to enjoy it for years to come. Mobile mechanic services like ours don’t typically cost more than other automotive shops. In some cases, you may save money by avoiding towing bills or losing time from work. We understand that your time is valuable. Whether you need repair services, a pre-purchase inspection, or repair and maintenance on a foreign car, we have the knowledge and experience to provide excellent service and help keep your car on the road. Laurel technician training and diagnostic technology have made it possible to take the repair shop on the road, so to speak. It used to be that the serious car problems had to be completed within a well-equipped local shop, because large equipment was required for testing. But repairs do not need complicated equipment .